Brett Lebda was born and raised in Buffalo Grove, Illinois, on January 15, 1982. He is the oldest child of Steve and Nanci Lebda. He has two younger siblings, brother Arik and sister, Amanda. Brett’s hockey journey began with his father’s desire to have him learn to skate so he could enjoy the winters at their cottage in Wonder Lake, Illinois. He began learning to skate with the Schaumburg Kings mini mites at just four years old. Both his parents realized his love and talent for hockey and decided to keep him active in the sport. Brett continued playing with the Glenview Stars as a mite, moved on to the Chicago Young Americans organization as a squirt major through bantam major (was part of the pee wee major national championship team), and finished his minor hockey career with Team Illinois as a midget major. During this time Brett also played golf and volleyball for Buffalo Grove High School, was an avid water skier in the summers, and gave back to youth hockey by instructing at Turcotte Hockey School. As a junior in high school Brett began playing with USA Hockey’s National Under-18 Team in Ann Arbor, Michigan, where he advanced his career to the international level. Following his success on Team USA, Brett was offered a scholarship to continue his education and hockey career at the University of Notre Dame from 2000-2004 where he was an offensive-minded defensemen (totaling 59 assists and 26 goals for 85 points). He also made the CCHA All-Rookie Team as a freshmen and second team All-Conference as a senior. During his time at Notre Dame, Brett also represented the United States at the 2002 World Championships in Prague, Czech Republic. After college, where he helped Notre Dame make their first NCAA Tournament appearance, he was signed as an undrafted free agent by the Detroit Red Wings in 2004. 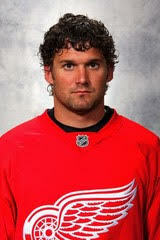 He began his professional career playing for the Grand Rapid Griffins, the Red Wing’s minor league affiliate. His first NHL game came after the 2005-2006 lockout with the Detroit Red Wings where he scored his first goal in his first NHL game and received his first assist in his second NHL game. Brett played with the Red Wings from 2006-2010 culminating in his greatest hockey achievement, a Stanley Cup in 2008 against the Pittsburg Penguins. In 2010 Brett signed a two year contract with the Toronto Maple Leafs. In 2011, after one season with the Columbus Blue Jackets Brett concluded his professional career playing in the American Hockey League for both the Rockford Ice Hogs and the Binghamton Senators from 2012-2013. As a retired professional hockey player, Brett couldn’t walk away from the sport. He has continued his hockey career on the other side of the boards coaching two years with the Chicago Young Americans from 2015-2017. Currently, Brett is the Defensive Hockey Director for the Falcons Hockey Association out of Highland Park, Illinois. He is also a part of North Shore Hockey Development Academy where he continues to encourage and hone the skills of young players. Currently Brett resides in Wonder Lake, Illinois, with his girlfriend Katie and their golden doodle Maverick. NOTES: The 2018 IHHF Induction Dinner will be held in their honour on Sunday, January 27, 2019 at the Belvedere Banquet Hall located at 1170 West Devon Avenue in Elk Grove Village beginning at 5:00 pm. Tickets are available by contacting Norm Spiegel at 847/269-2922 or e-mail Norm at jacole@comcast.net. The Hall of Fame was established to recognize and honor the tremendous contributions of individuals who, through their dedication and tireless efforts, helped to pave the way for the future generations of kids and adults to enjoy the great sport of ice hockey. The IHHF Selection Committee consists of all of the living past and present presidents of the Amateur Hockey Association Illinois, Inc. Please click HERE for further information. ‹ Come See Illinois West’s Full Slate of Outdoor Games!